The one-act play will be performed at the Spooner High School. The one-act play ‘In the Garden,’ will be performed May 2nd, 5:30-7:30 p.m. at the Spooner High School, 801 Co Hwy A, Spooner, WI 54801. The play is set in the home of Arthur Monsetin, where his three grown children have come together to try and help decide a course of action for their beloved father who is struggling with Alzheimer’s disease. The event is free to the public, but reservations are required as seating is limited. ‘In the Garden’ is the second of three plays that make up the Remember Project, a special program designed to help family members, caregivers, local businesses, and the broader community be in conversation around dementia and the most well-known form of memory loss, Alzheimer’s Disease. The performance and follow-up facilitated discussion is excellent way to help create a better understanding about the challenges facing those with memory loss as well as their families and friends. In this play, Arthur, the father, may wander off at times, lash out in anger or forget the names of his grandchildren, at other times he is lucid, funny, and wise. Long ingrained familial tensions come to the surface as Peter, Karen, and Jamie struggle to treasure their father as they also come to terms with his limitations. Each of Arthur’s children has a very different view about what is best, yet one thing is clear: their love for their father will guide the way. The ultimate goal of the Remember Project is to assist community members and leaders consider new ways to think about memory loss and to become aware of local resources that support families who are dealing with a diagnosis of dementia or Alzheimer’s Disease. This program takes a unique approach to building awareness, sharing information, and inviting authentic community conversations. The play was written by Matthew Widman and published in The MemoryCare Plays, a book of three one-act plays compiled and edited by Dr. Margaret A. Noel. “This play is dedicated to my father Harry Widman, a wonderful artist, teacher and parent,” said the playwright. “Although the characters in the play are fictional, my father’s aesthetic voice rings true through the persona of Arthur, a man who despite his illness, never loses his observant eye for the splendor and excitement of the world around him. The Aging and Disability Resource Center and Spooner Health are hosting this event. To learn more or register for the event, please call the ADRC at 715-635-4460 or email trisha.witham@co.barron.wi.us. 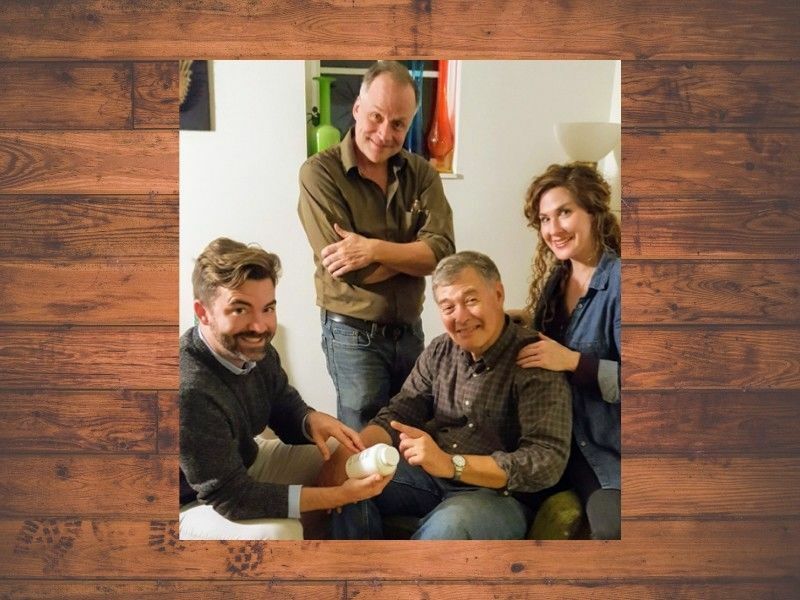 Photo Credit: Arthur Monsetin (center) is play by Jim Pounds and his children (left to right) are Jamie, played by Michael Venske, Peter played by Andrew Wheeler, and Karen played by Heidi Fellner.